Even with diet and exercise, most people have stubborn pockets of fat that is hard to get rid of. SculpSure’s laser body contouring technology targets and destroys these fat cells without any cuts or surgery. This completely non-invasive fat reduction treatment is effective, well-tolerated, and fast! SculpSure’s non-surgical 25 minute procedure uses light-based technology to permanently destroy up to 24% of treated fat3)Single treatment with an average in fat volume as measured by MRI; Clinical and Histological Evaluations of a 1060nm Laser Device for Non-Invasive Fat Reduction – JohnW.Decorato, MD., FACS. RafaelSierra, Ph.D., BoChen, Ph.D., Westford, MA, 2014. in problem areas such as the abdomen and love handles. Over time, these damaged fat cells are naturally absorbed and removed from the body, with results seen as quickly as six weeks, and optimal results typically seen at 12 weeks. Dr. Van Coevorden specializes in fat reduction treatments, and will work with you to develop a body sculpting plan that accomplishes your personal fat reduction goals. Watch the video below to see SculpSure results for yourself, and when you are ready, give us a call at 425-557-4227 and schedule your free consultation. SculpSure is ideal for people with trouble spots, particularly those that seem resistant to diet and exercise. Those who exercise and eat healthy experience more noticeable results*. SculpSure is NOT for those who are pregnant or breastfeeding, no tests have been conducted on pregnant or breastfeeding women. Every patient is different. We are finding that most patients experience noticeable results after 2 treatments, but some are very happy after just one treatment*. Dr. Van Coevorden will work with you to develop a customized treatment plan to meet your desired goals. Call us at 425-557-4227 to schedule a consultation and discuss which treatment plan is best for you. Treated fat cells are destroyed during the treatment and will not regenerate. Patients typically experience long-lasting results from SculpSure*. Can I get other treatments on the same day? Yes! 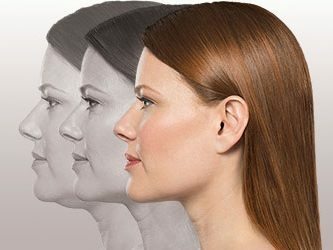 You can receive BOTOX Cosmetic, Juvederm, Radiesse, Latisse, and Kybella on the same day, or possibly even at the same time as your SculpSure treatment. Achieving a slimmer, more sculpted appearance is possible with the help of SculpSure. Call us at 425-557-4227 to schedule a consultation and learn more about your customized SculpSure treatment. 1, 2, 3. ↑ Single treatment with an average in fat volume as measured by MRI; Clinical and Histological Evaluations of a 1060nm Laser Device for Non-Invasive Fat Reduction – JohnW.Decorato, MD., FACS. RafaelSierra, Ph.D., BoChen, Ph.D., Westford, MA, 2014.